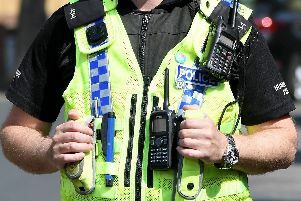 Police were called to a Doncaster street this morning after armed ‘gangs’ clashed, according to concerned residents. They claim gang members clashed in St James Gardens, Balby, at around 3am. One man who witnessed the violence in the cul-de-sac said those involved were armed with pickaxe handles, meat cleavers and samurai swords. He said the men were fighting and ‘ramming cars’. He said a number of cars parked in the street were damaged during the incident and blood can be seen where violence flared. The resident said a number of police officers remain in the street this morning.